What is Experian X Labs? 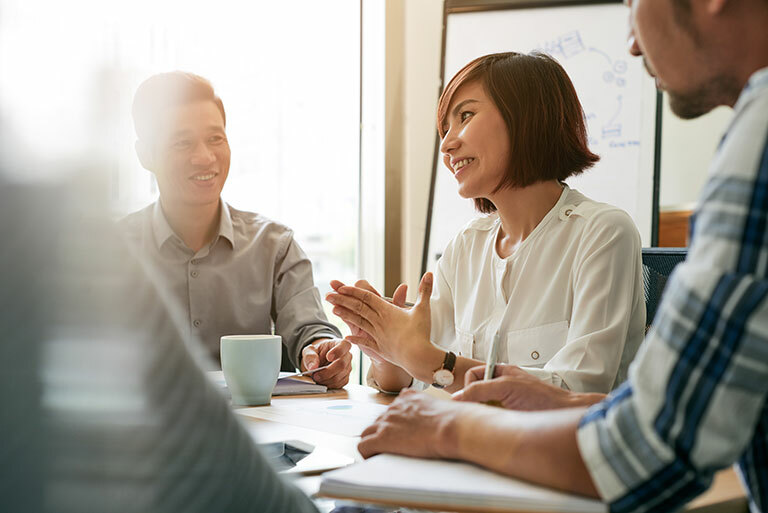 With the scale, diversity and pace of change in Asia Pacific, Experian is doubling down on our commitment to continually innovate market-leading solutions for our customers and our region’s communities. Experian X Labs was formed to provide agile, scalable and cutting-edge solutions. Experian X Labs is an innovation ecosystem committed to helping find and solve the problems, and develop opportunities across Asia Pacific. Experian X Labs has an enhanced focus on innovation that helps consumers and businesses address the important issue of financial inclusion and greater access to finance through advanced data analysis, research and development. using primary pillars: data analytics and modern technology. 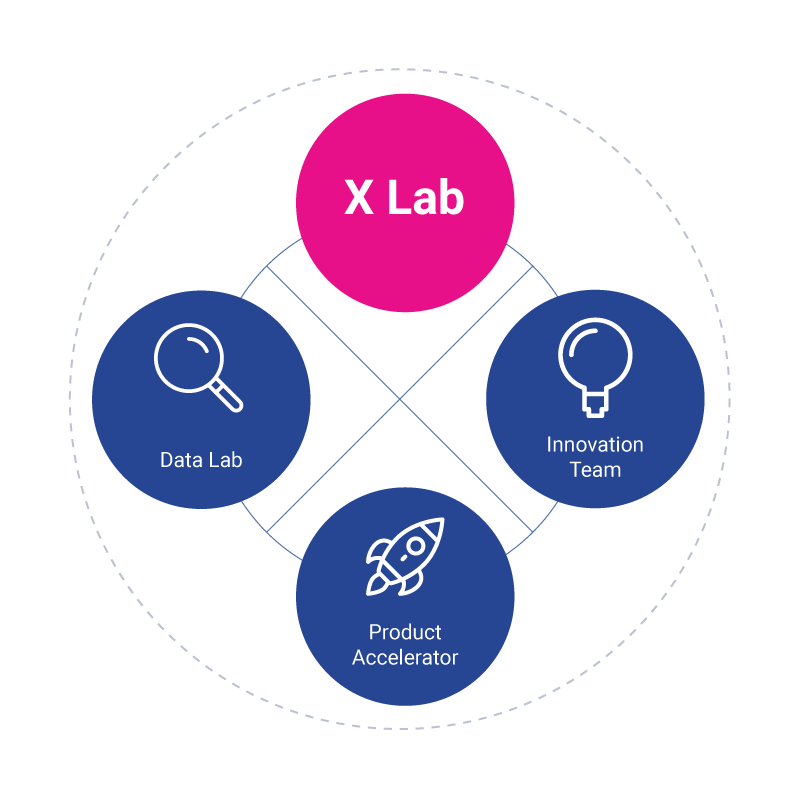 Experian X Labs consists of three teams working together to generate, test and bring the innovations to market. It is run by a multidisciplinary group of data scientists, applied research practitioners with expertise in advanced analytics, machine learning and advanced statistical methods. How does Experian X Labs work? Ideas are generated by various mechanisms including hackathons or day-long collaborative workshops with prospects and customers. The Experian X Labs team starts to work using sprint methodology to create a working prototype. Our team is staffed with a multidisciplinary group of data scientists and applied research practitioners with expertise in applying cutting-edge data science using machine learning and advancements in AI to bring a viable solution ready to be scaled for market launch. When the prototype has passed commercial qualification and is ready for launch, the model is taken over by the product accelerator team. The team works internally with a specific business and the marketing team to bring the product to market. A platform to enable alternative data-based lending. The platform has the ability to combine multiple data sources and bring them together into a single score. It is an aggregated score using Consumer Score and alternative data sources. This score helps provide fast, easy application and/or clear detailed view of the score components for more sophisticated decisioning processes. Through this initiative, we are helping drive financial inclusion to enable financial access to the next 20% of the underbanked. An identity-verification technology facilitating the creation of online identities, Prove-ID verifies the identities of individuals in real-time, providing a fast and secure environment. 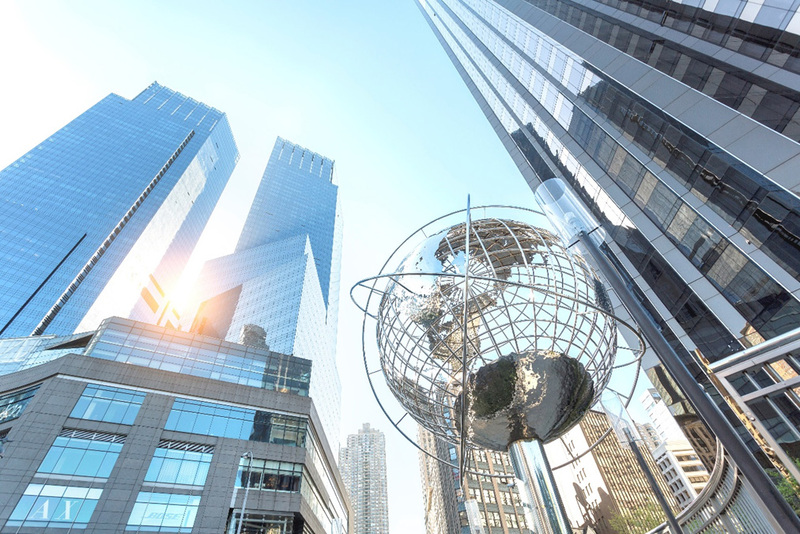 This solution enables many of the poorest and most marginalized members of society to connect to government and financial services. Financial institutions need to take decisions about the accuracy and reliability of their risks regularly. If the risk is overplayed it can affect bottom-line profitability and cause damage to businesses. One of the most interesting challenges financial services professionals face today, is ability to understand at what point in the model management lifecycle do models need to be updated to maintain their predictive efficacy. Risk officers have to review many statistical reports to validate a model. 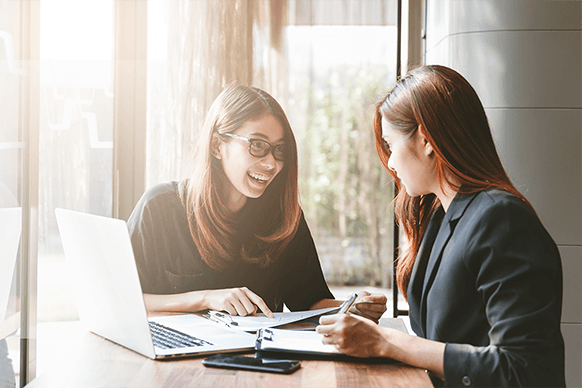 Experian has put all the best practices in one easily accessible application while providing an automated way to generate a single consolidated model validation view. Our data scientist and innovation team has created a model that is customer focussed thereby making it easy to use and customize. The model also acts as a data visualizer and provides statistics to help understand and monitor scorecard performance. Debt collection is a delicate situation for financial institutions. Financial institutions struggle to walk the line in maintaining their place as a trusted counsel to their customers and collecting a debt. In Asia Pacific approximately 60% of cases are worked by field agents. The financial institutions need to have a system and process to monitor the progress of collection, improve efficiency and above all continue to maintain a good relationship with their customers. CollectAble is a mobility solution to automate field collections by enabling field agents to view their cases on mobile, get real time updates and improve efficiencies. It connects the last mile to support collections, keeps data secure and helps maintain trust. CollectAble helps integrate and manage external agencies and agents who are not part of internal hierarchy. It provides control to collection managers, allowing flexibility to allocate accounts as per performance and net worth among agencies. At Experian, we are committed to supporting social innovation and investing in ideas that offer societal benefits. Since 2015 we have invested significantly in social innovation products around the world. In FY18, our social innovation products reached over nine million people worldwide. We collaborate with strategic partners across Asia Pacific to extend our social reach. 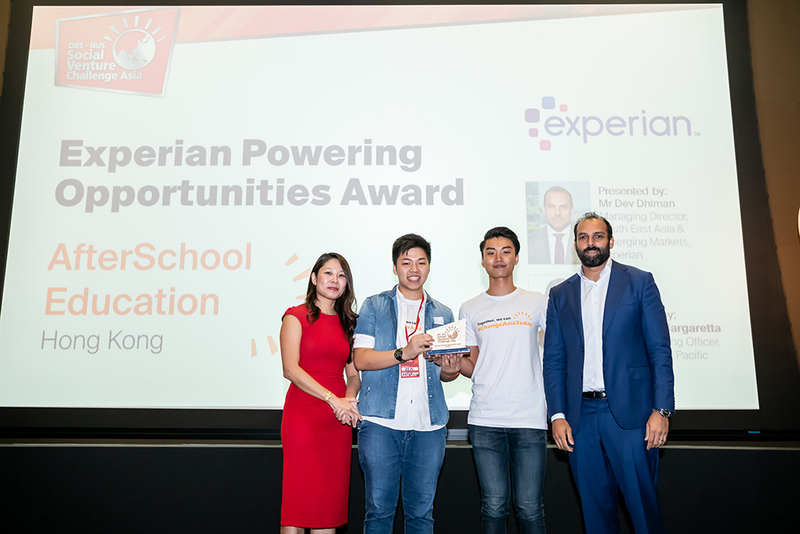 The Experian Powering Opportunities Award, with DBS-NUS Social Venture Challenge Asia, was given in 2018 to recognize social enterprises that harness innovative technology to solve the needs of their communities. We are supporting Grameen Foundation project titled, “Youth Champions for Digital Finance”. The program aims at educating 30,000 low-income individuals in Maharashtra, India on digital financial services, thereby enabling them to adopt digital payments platforms. By volunteering our expertise within the Ingenuity19, an innovation programme led by the University of Nottingham across their campuses in the UK, China and Malaysia, we seek to discover potential Social Innovation products. 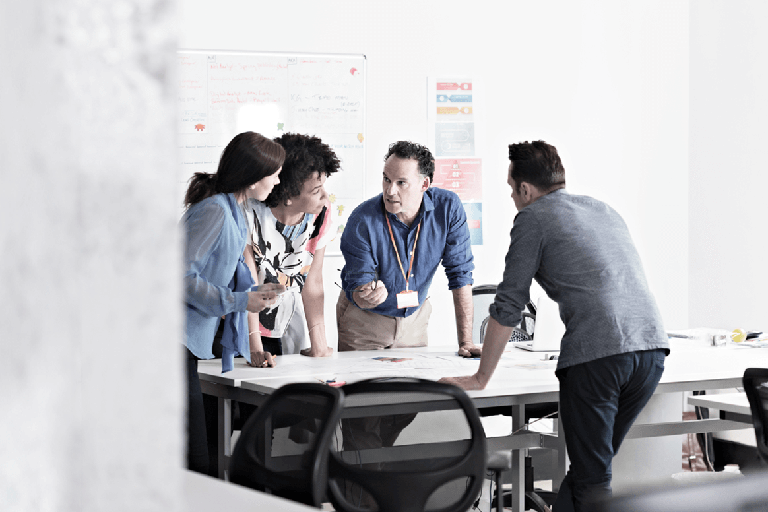 Experian volunteers work with students and start-ups to generate new ideas that might not otherwise have been explored. This year the themes are: Future Communities and Future Technology. SINGAPORE has surmounted many a problem through forward thinking and clever reinvention, earning a solid reputation as a shining beacon of innovation. 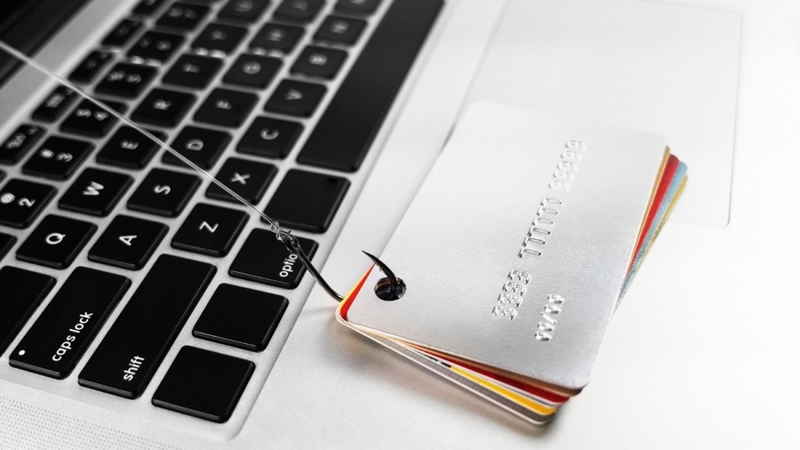 Mohan Jayaraman says despite fears that the rise of artificial intelligence poses a risk to humanity, a quiet revolution is under way as it plays a role in the speedy and accurate detection of dubious credit card activity. Forbes recently invited Brian Cassin to sit down for a wide-ranging conversation about Experian’s business and our mission covering everything from our innovation to our technology transformation to the various global initiatives to help consumers get access to fair and affordable credit.